It seems we can’t seem to stay away from hospitals, but this time it’s to see little Jetson. 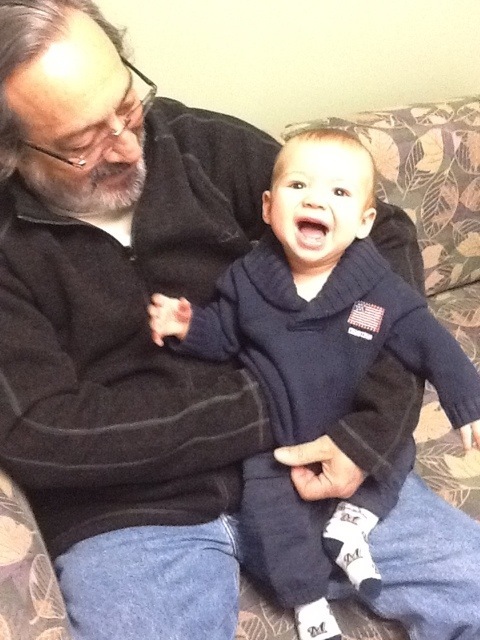 Grandpa made sure to keep Dex entertained the whole time, or visa versa, either way it made for a cute picture. He was happy he had on his brewer socks as well.